Greetings my ASW Readers!! Many of you know that I absolutely love shopping at Kohls. I always find what I am looking for in there from accessories to dresses to undergarments to shoes. They have it all and at an unbelievable prices!! 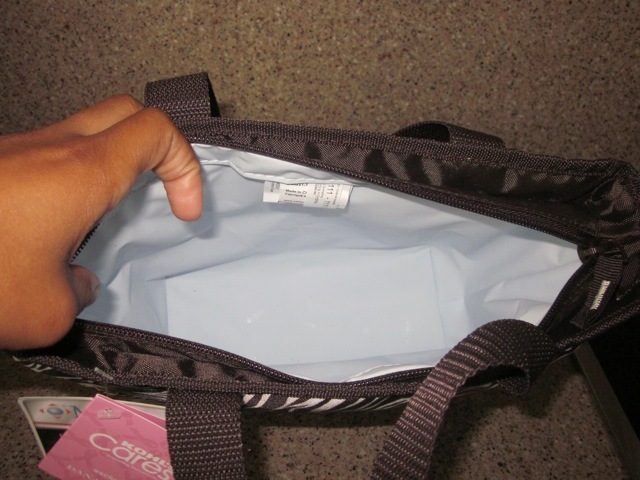 So, the lovely and quite generous folks over at Kohls contacted me and asked me to review and share a couple of products from their Kohls Care line by Dana Buchman. Aren’t these items adorable? I love how they tied animal print in with breast cancer awareness. I think it gives the products an edge and makes it appealing to consumers. Each item doesn’t exceed $10 and are of great quality. The collection is only in stores until the end of April so I highly suggest that you head on in to your local Kohls store and pick up a few items to show your support for Breast Cancer as well as Earth Day which is on April 22, 2012. Below are pictures and details of each item. 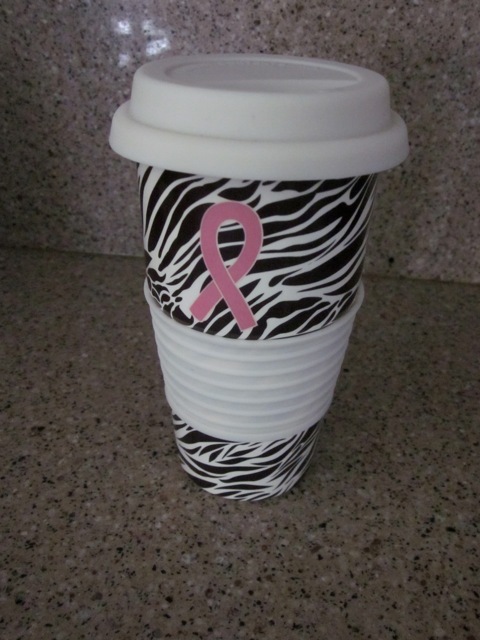 This Kohls Cares Dana Buchman Zebra Travel Mug is priced at just $5.00. This stoneware construction offers a long lasting use. You will also be able to place it in the dishwasher for cleaning and it comes with a silicone top. Perfect for traveling on long trips! 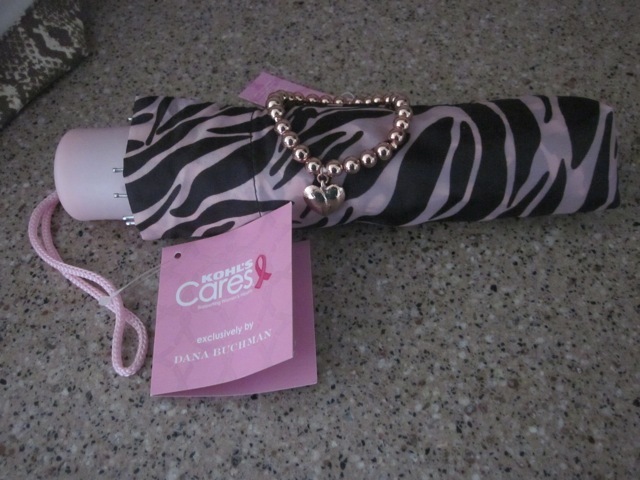 Kohls Cares Dana Buchman Zebra Umbrella and the Gold Toned Heart Charmed Bracelet are each priced at just $5. What an amazing deal! Most umbrella’s start off at $10 so by purchasing this umbrella you are supporting a cause and saving money all at the same time. I absolutely adore beaded bracelets and I wear them often. This bracelet is very cute and it goes with many different outfits. 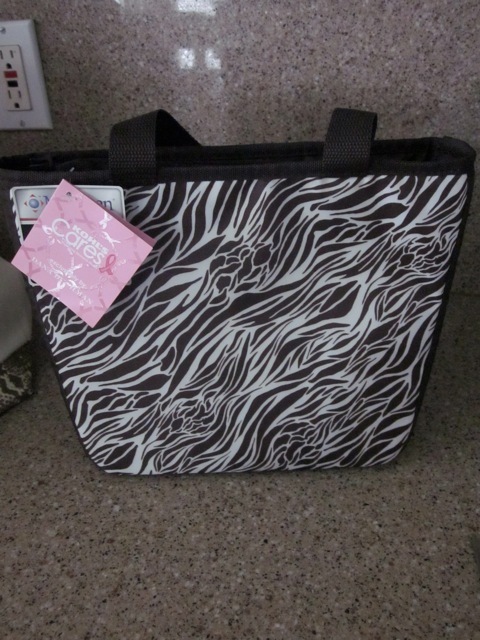 I was so excited that I received this Zebra Lunch Tote from Kohls. I usually just put my lunch in a plastic bag and head out the door so I was uber excited that they sent me this cute lunch tote to use each day. This tote is priced at $10. 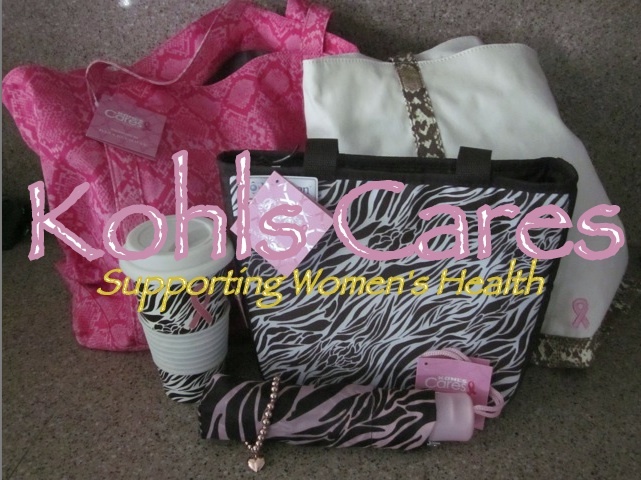 The Kohls Care Snakeskin Trim and Pink Tote are perfect for work. Especially if you are like me and bring your Ipad, folders, and other particulars to work with you each day. 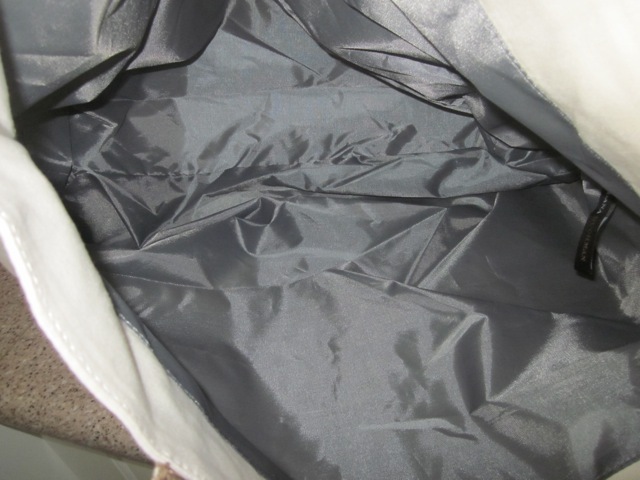 These items are priced at $10 and are extremely durable and roomy. 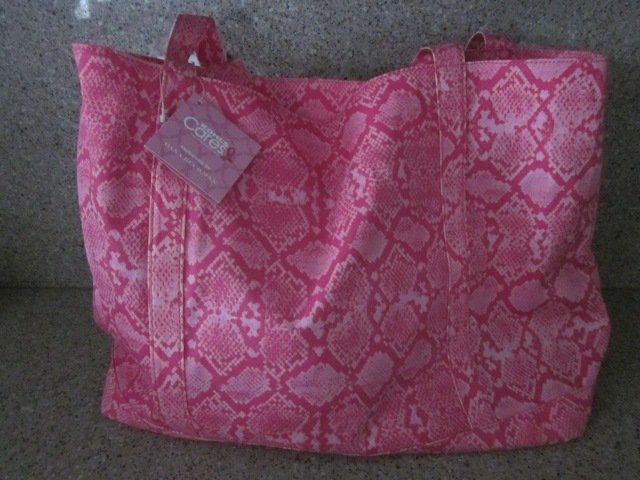 Yesterday, I rocked this pink tote to church today and I actually received a couple of compliments on it. 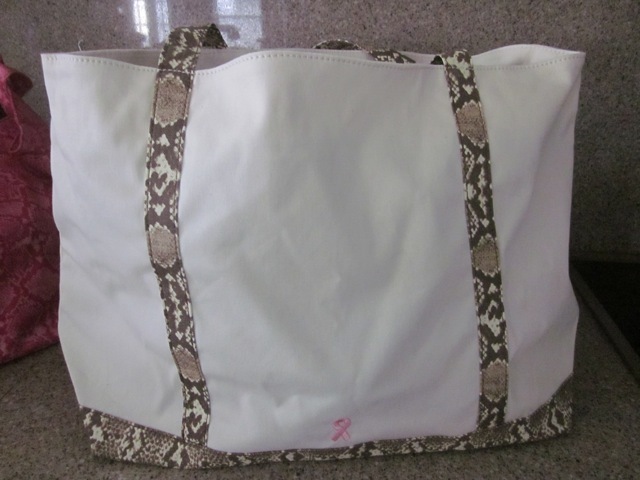 For just $10 you will own a cute bag that is easy on your shoulder and that can fit all your necessities. I hope that this post inspired you all to head on over to your local Kohls store and purchase a couple of the items that I shared with you. For my online shoppers please do not hesitate to head on over to the website and you are welcome to order from there. With each item costing only $5 and $10 each, 100% of the net profit will go to supporting the fight against breast cancer. Thanks for stopping by and thanks for all of the support that you show ASW ✌.